The name lizhik Gwats’an Gwandaii Goodlit, translates to “the sacred place where life begins” in the native language of Gwich’in Athabascans. There couldn’t be a more fitting title for the 1.5-million-acre coastal plain that lies at the far northern reaches of Alaska’s Arctic National Wildlife Refuge. Here, polar bears dig maternity dens into snow each winter, once-endangered musk-oxen roam the tundra in herds, and the 200,000-member Porcupine Caribou Herd claim the plain as their calving grounds and nursery —birthing some 40,000 caribou each spring. However, the coastal plain is just one piece of a larger ecosystem. The complete Arctic National Wildlife Refuge extends 19.3 million-acres from the Arctic Coast’s barrier islands, across the tundra of the coastal plain, rising over 9,000 feet into the glaciated peaks of the Brooks Range, and into the boreal forest of the interior. Of its 160 rivers, three have been preserved as Wild and Scenic and 8 million acres have been set aside as Wilderness—the second largest designated area in the country. The Arctic Refuge is home to approximately 39 species of fish, 36 land mammals—including all three species of North American bear—nine marine mammals, and over 160 resident and migratory species of birds. Life thrives here. The oil and gas industry has been pushing to lift restrictions and drill the coastal plain for almost four decades. Photo by Hellebrand/USFWS. For thousands of years, the refuge has been life-giving to the Gwich’in Nation and their Inupiaq neighbors to the north. Many Alaska Native peoples rely on subsistence for survival, using the land as hunting and fishing grounds as their ancestors did before. Today, the Gwich’in live in villages throughout Alaska and northern Canada, mostly along the caribou’s 800-mile migration route. Known as Caribou People, the Gwich’in hold a deep spiritual connection to the Porcupine Herd, still relying on the caribou for survival. Recognition of impending development and potential threats to the landscape that is now the Arctic Refuge is largely attributed to Olaus and Margaret Murie. After leading a research expedition into the Brooks Range in 1956, they campaigned to establish the nation’s first large-scale conservation area. In 1960, the Eisenhower Administration set aside 8.9 million-acres for the Arctic National Wildlife Range. 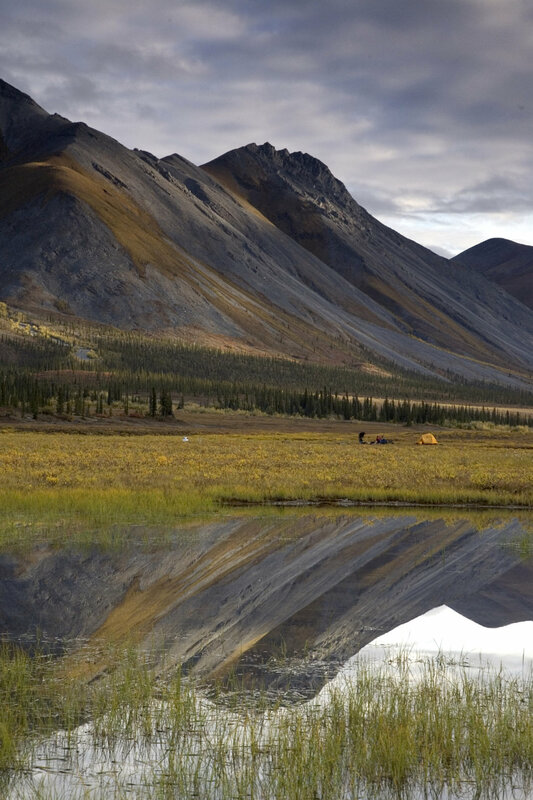 Twenty years later, the Alaska National Interest Lands Conservation Act, under the Carter Administration, turned the Range into the Arctic National Wildlife Refuge, nearly doubling its size. 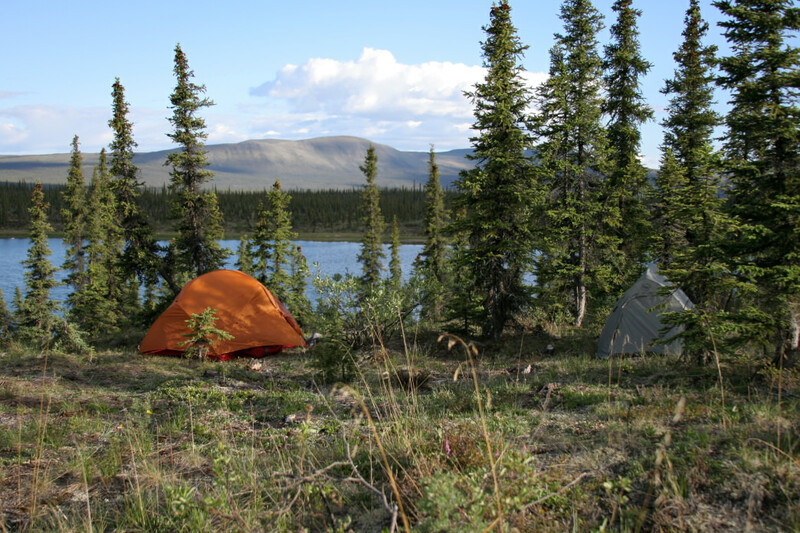 Connected to Canada’s Ivvavik and Vuntut National Parks, it is one of the largest protected ecosystems in the world. Still, protection of the refuge has become one of the most notorious conservation battles in the country. Under political pressure, ANILCA authorized the study of potential oil and gas in the coastal plain region. While currently prohibited, an act of Congress has the ability to open the coastal plain to development—or to permanently protect it. The oil and gas industry has been pushing to lift restrictions and drill the coastal plain for almost four decades. Vetoes, filibusters, and strong environmentalist lobbying in partnership with the Gwich’in and other groups, have stopped them. However, the new administration has intensified the debate. Without the development of roads, trails, campgrounds, or other facilities—logistics can be challenging. Photo by Bob Clarke. Despite pressure, the Arctic Refuge remains as wild today as it has for thousands of years. Managed by the U.S. Fish and Wildlife Service, presence of humans is limited. According to a brochure by USFWS, it is “managed to maintain its natural condition, diversity of wildlife and habitats, scenery and other special values.” Its efforts focus on “surveys, research studies, monitoring, and education”. The USFWS estimate that 1,200 to 1,500 visitors come to the refuge each year. But—without the development of roads, trails, campgrounds, or other facilities—logistics can be challenging. For many, there is comfort in knowledge that wild places remain, but those that make the journey often tell of a kind of place that will change you. Rafting trips make good use of the Refuge’s rivers as a form of transportation. Photo by Bob Clarke. Getting to the refuge is its own adventure. Most visitors access it by air, flying into Fairbanks and connecting to the smaller communities of Deadhorse, Fort Yukon, Kaktovik, or Arctic Village. From here, visitors charter a smaller plane to land on tundra or a river gravel bar. The USFWS website offers a list of all commercial air operators with appropriate permits. Backpacking in the refuge is a popular means of travel. One common route involves crossing the Continental Divide from the eastern edge of the Brooks Range to its northern slope. Travel in June and expect wildflowers, sweeping vistas, and the possibility of viewing the migrating Porcupine Herd. 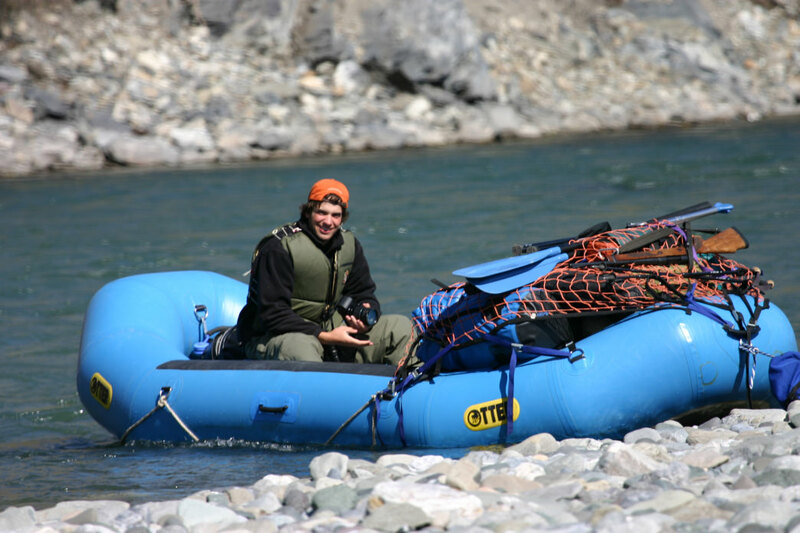 Pack-rafting river trips make good use of rivers as a form of transportation. Combined with day-hiking and fly fishing, travelers can experience the best of everything. 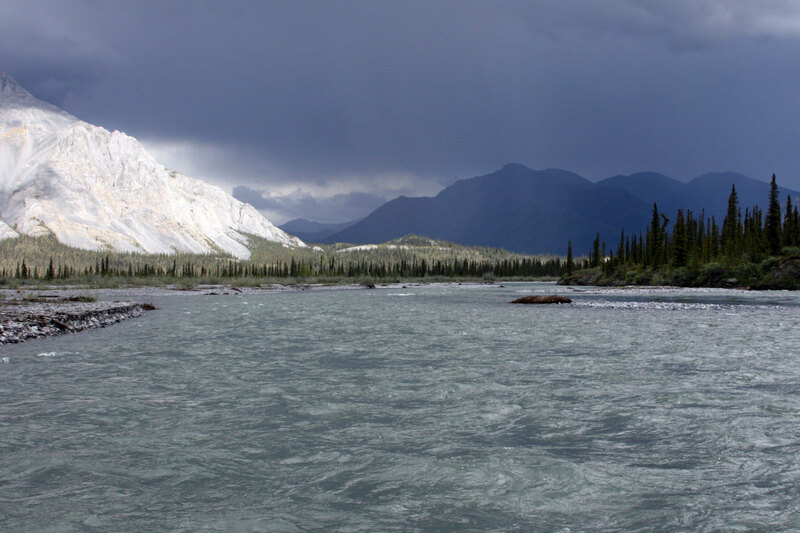 One popular trip includes floating the Kongakut River from the northern edge of the Brooks Range, through the coastal plain, and to the Arctic Ocean. Expect Class II waters with a three-mile stretch of Class III rapids, wildlife viewing, and a chance to catch arctic char. Some visitors choose to visit the only village within refuge boundaries, Kaktovik, an Inupiat community located on the coastal Barter Island. From here, visitors travel by boat to witness polar bears in their native habitat. The Arctic National Wildlife Refuge serves as a reminder that wild places can still exist in our modern world. Photo by Bob Clarke. Whatever the route, and whether or not one even chooses to make the journey, the Arctic National Wildlife Refuge serves as a reminder that wild places can still exist in our modern world. As the Gwich’in people have known for thousands of years, it is in these wild places that life begins. To be part of the campaign to protect this incredible place and find out what groups such as Sierra Club are doing, click here.